"Californian" is as much an adjective as it is a noun - a description that embodies the essentials: palm trees, ocean waves, and sunny skies. 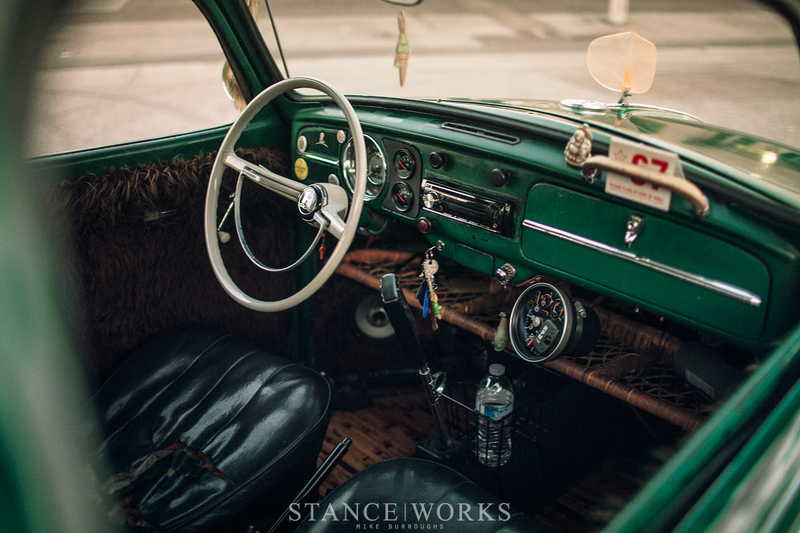 In the details, you'll find surf boards, vans shoes, good food, and on occasion, a classic aircooled Volkswagen Beetle. 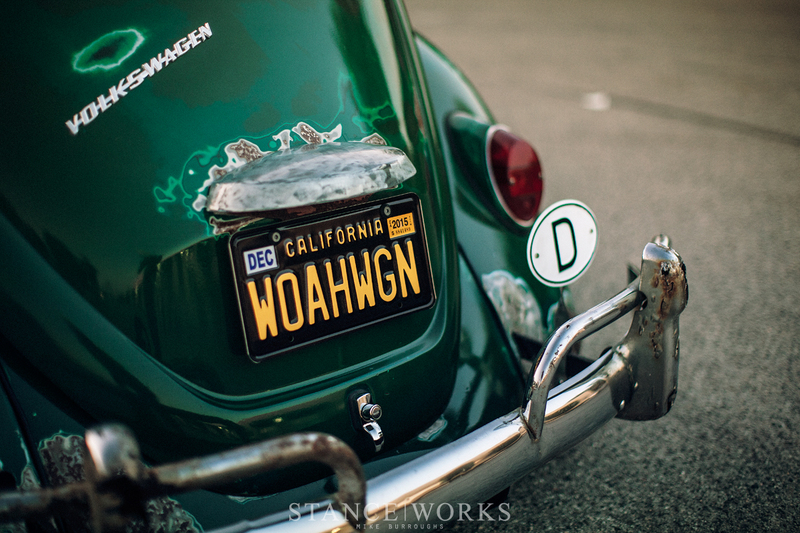 Through his 1967 bug, and with a heart to match, Dylan Rodriguez has built a car that is nothing short of quintessentially "Californian." 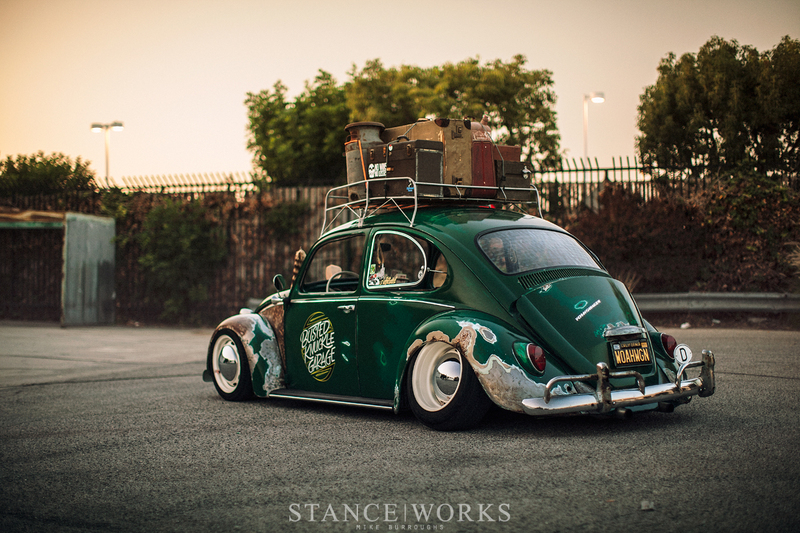 Dylan and his beetle scuttered into the parking lot for our shoot, hovering just above the ground and dragging its belly like a dog that had stolen the Thanksgiving turkey from the dinner table. It oozed character, and as the sun fell behind the buildings, I worried that I'd fall short of time to capture all the details that make his build so captivating. It was an obvious choice to feature the car. Having crossed its path at Played Out just last month, Dylan's car narrowly missed out on "Best of Show," only for the sake of us not showing our own biases. Dylan moved the car into position and climbed out. He closed the door with an emphatic "lift and push" movement, required to get the door to close, that had obviously been finessed over the years. He gave the car a once-over before affirming the car was ready for photos; nothing needed changing, or cleaning. We agreed it was good as-is. 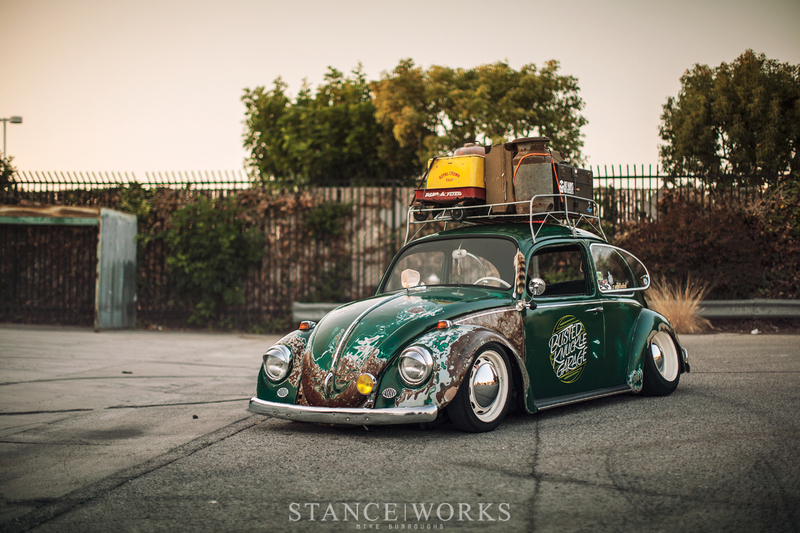 From the outside, Dylan's Volkswagen is hardened and burnished with a mix of patina and bare steel. The bondo-filled bodywork from decades past hadn't withstood the test of time, and the wrinkly panels that hid underneath were now worn as a sort of "badge of honor," a testament to the car's resilience and desire to continue life under the Californian sun. 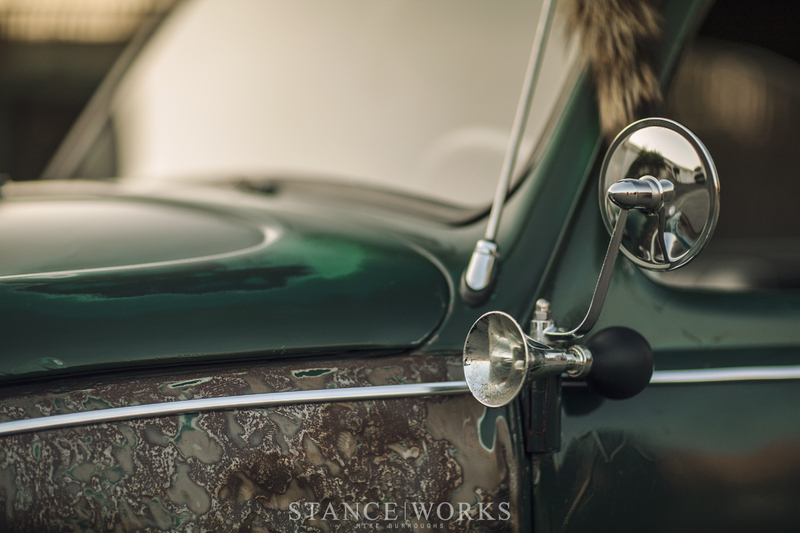 Shades of green paint wax and wane across the body, from nose to tail, interrupted by beauty marks and pinstripes. 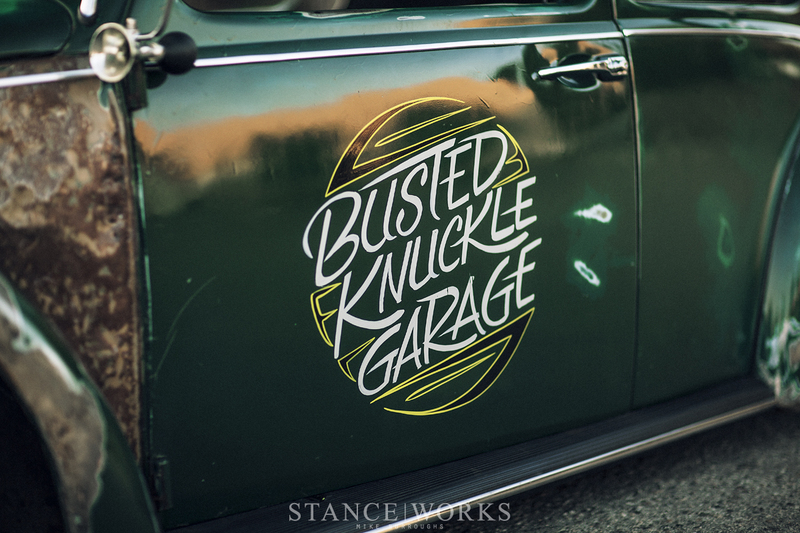 The doors are clad with the "Busted Knuckle Garage," a name aptly fitting for both Dylan's garage and the car itself. 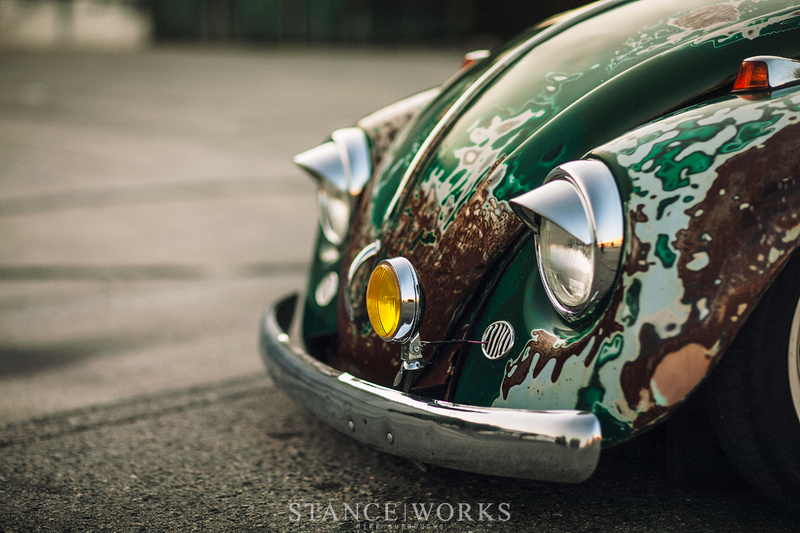 At face value, Dylan's Beetle holds its own: a patina-ladden classic VW laid flat on the ground with an abundance of style. 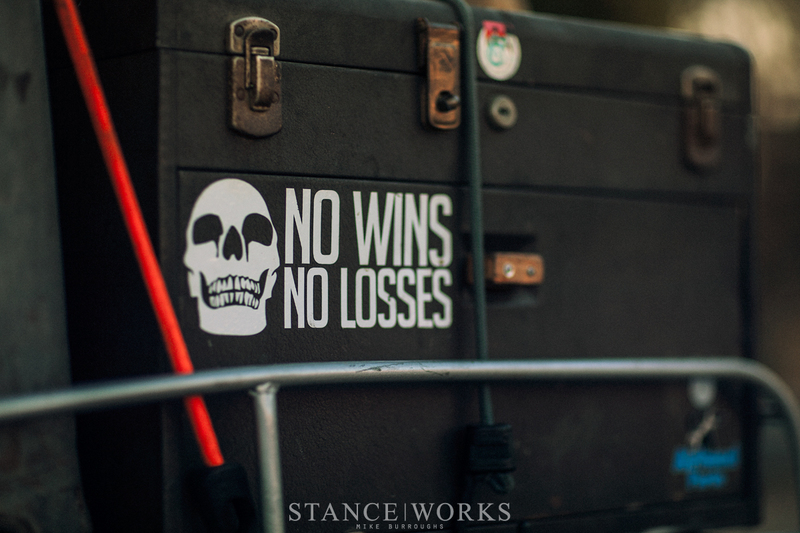 However, like most builds of this style, it's the details that solidify it. There's a fine line between "cliche" and "perfect," or "cheeky" and "lame," and somehow, Dylan manages to avoid all the negatives, landing him a car with enough heart to leave anyone with a smile. Starting at the car's hind-quarters, Dylan lifted the engine cover. Underneath was a hearty engine, kept clean and shiny with some polished bits worthy of at least a glance. 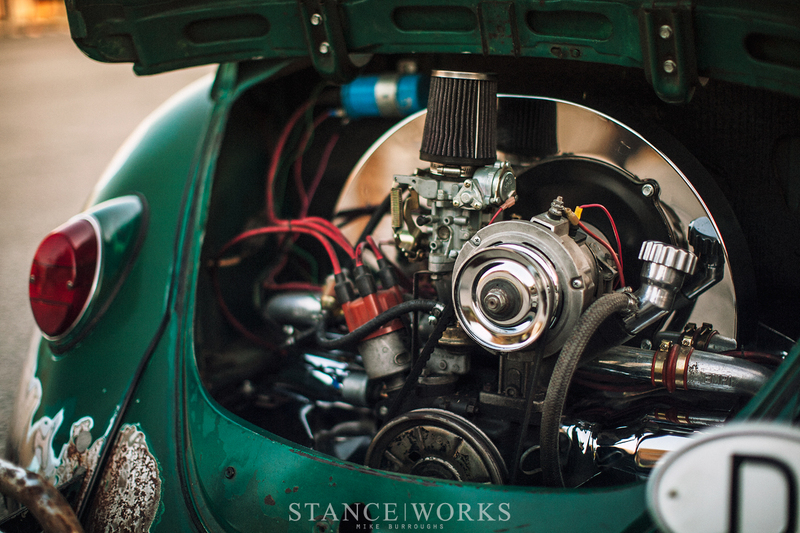 It's likely that the cleaner parts were indicative of his maintenance schedule and point to which parts have left the beetle limping most recently, as opposed to his care for the motor's aesthetics. Driving the car nearly every day means things are bound to happen. The car's wheel arches are battered and tattered, with some paint missing and a few welds thrown on to hold the cracking metal together. 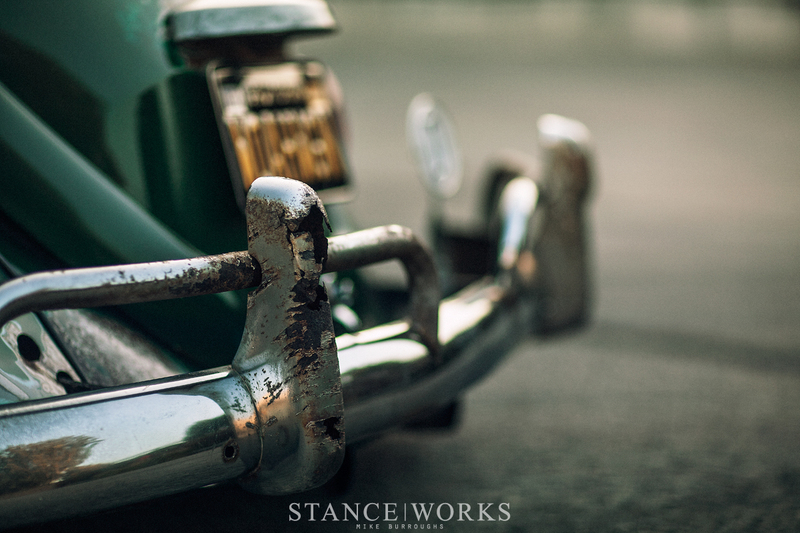 Up front, the un-narrowed front beam leaves the car with an atypically wide front track width, and the tan steelies with square-fiftting tires sit right up against the fenders' edges. 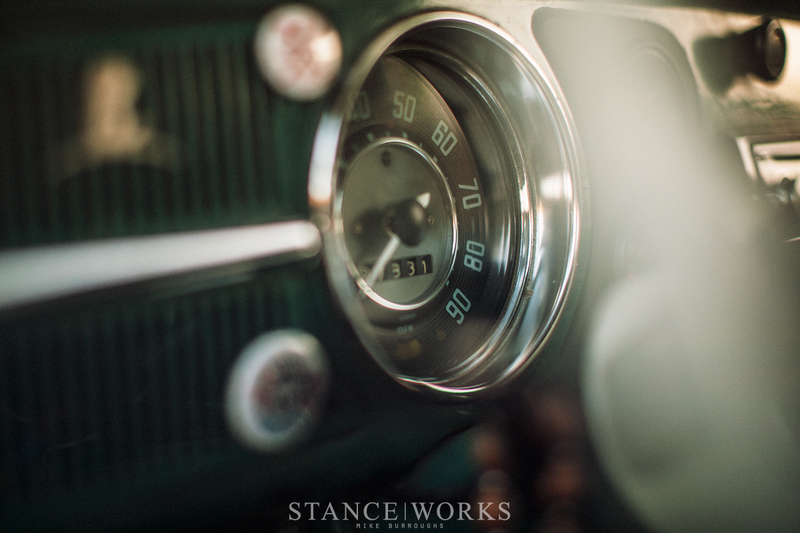 Inside the car is nearly bursting with character. First and foremost, the "hairy" door cards caught a good chuckle when Dylan showed the inside. From there, my eyes wandered, and the camera followed. Pins and buttons cling to the dashboard, and underneath, a wicker basket-platform offers some extra storage for sunglasses, sunscreen, and other Californian necessities. 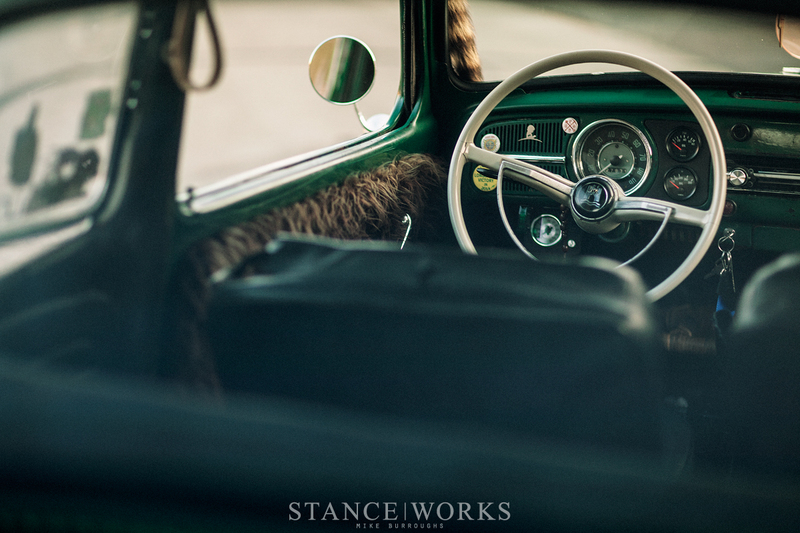 The driver's seat hardly resembles an object of comfort; instead, the vinyl and foam are torn and missing. The springs from within have grown and reached for the sky. 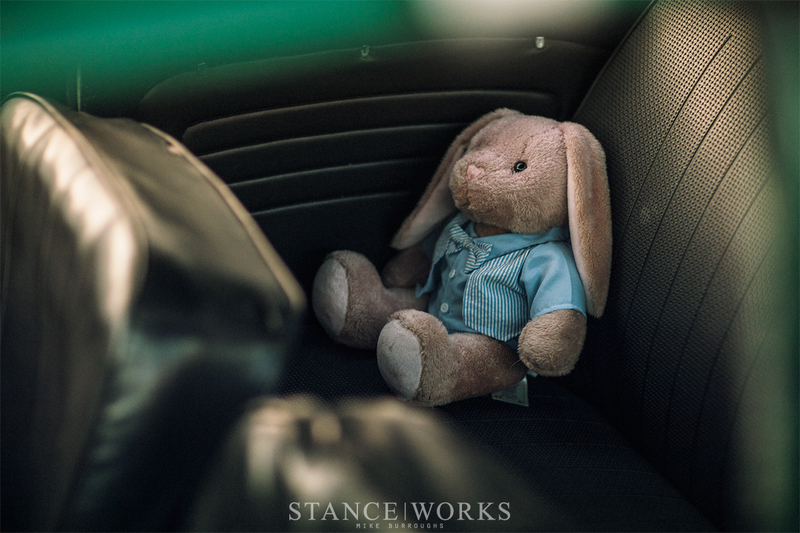 Other nuances are scattered about: the clunky tachometer, the Carl's Jr. order tag, and the stuffed rabbit that rides in the back seat, each complimenting the character of the Beetle. Bamboo floor mats cover pans that may or may not be suffering from some dreaded rust, but it's all on the to-do list. On top of the car is the roof rack, which sports essentials such as Dylan's entire tool kit, ready for roadside repair. 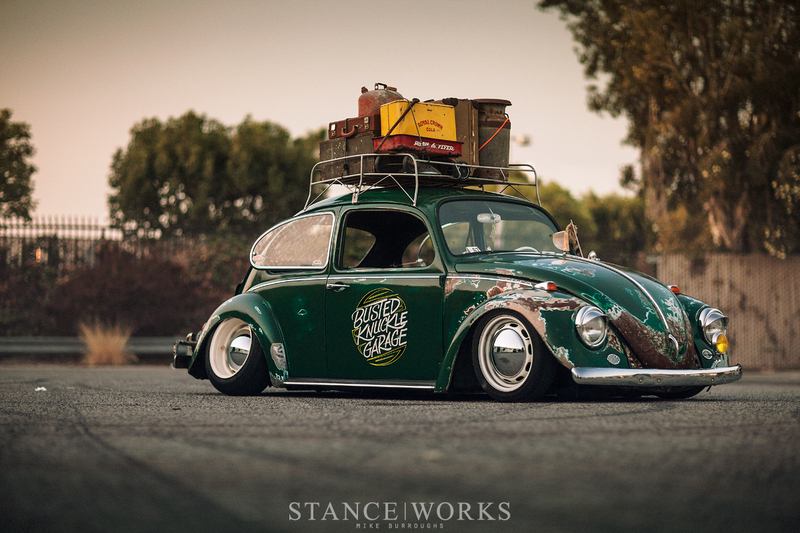 It also sports some not-so-essentials, but with an air-cooled Volkswagen, it's all about style. Last is the nose of the car. The hood is peaked with a bug deflector, and further down the hoodline is a single, offset foglamp. It's a look to remember - it's the one you'll like see in the rear view mirror as Dylan and his creation cruise the Californian freeways in the far right lane. Or perhaps you'll find him along the Pacific Coast Highway. 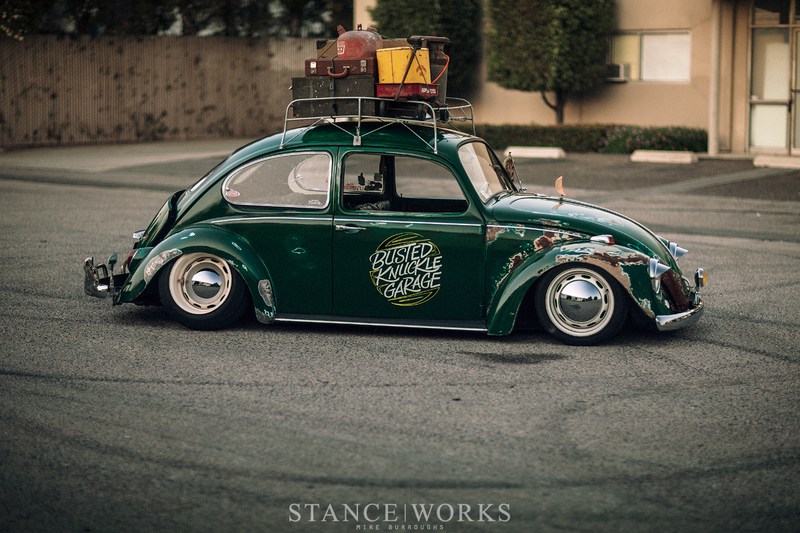 Either way, you're bound to find Dylan and his beetle living a lifestyle that is quintessentially Californian. accessories, accessories everywhere.. i was looking for a photo with the big bearded owner, it`s already a stereotype. oh yes, and he doesn`t care. Bleach8 – We’ve done another article that goes into the basics of the suspension work that is necessary for slamming the old beetles. Have a look through this feature and see if it sheds some light on your questions. It’s “Busted”-something, that’s for sure. Bleach8 Hit me up if you have any questions not covered in the article Andrew posted, I can help you out too. Are these 356 wheels or 66/67 slot wheels?